A reddish-brown warm colour, inspired from the ground, wine, movie theatres and romance. ‘Marsala’, is the official colour of 2015. A stunning elegant shade that suits all aspects of life. You could sense a glimpse of the 60s and 70s in it, yet it feels very familiar. “Marsala enriches our mind, body and soul, exuding confidence and stability. Marsala is a subtly seductive shade, one that draws us in to its embracing warmth”, said Leatrice Eiseman, the executive director of Pantone Color Institute explaining why Marsala was chosen as the colour of 2015. One of many reasons why Marsala was chosen is its versatility. The colour is very appealing for both genders, and suits a wide range of skin colours. Work or play, the colour will work for you somehow. In your home, you could use it in paint, furniture, home accessories, and more. The colour pairs and compliments well with so many colours that anyone can use it right. Marsala will give you a sense of confidence and elegance wherever and however you use it. From your kitchen, living room to your nail polishes! In beauty, any eye shadow shade from the Marsala family will be flattering. Light and shimmery shades of Marsala are now launched in many palettes. Complete the look with a pure Marsala colour for your lips and nails. In clothing, wear Marsala if you wanna speak “seductive”, wear it if you wanna speak “deep”. You could try a pure Marsala dress, or one piece of the colour paired with grey or ivory, even with aqua if you dare. The colour works for both genders and most skin colours. Don’t hesitate to accessorise yourself with a handbag, sunglasses, or jewellery of the colour, Marsala works for all of it! Decorate your living room or dining room with Marsala, sophisticate it with upholstery, cushions or rugs in Marsala. Use it as a paint, it’s ok, let your creative side shine! 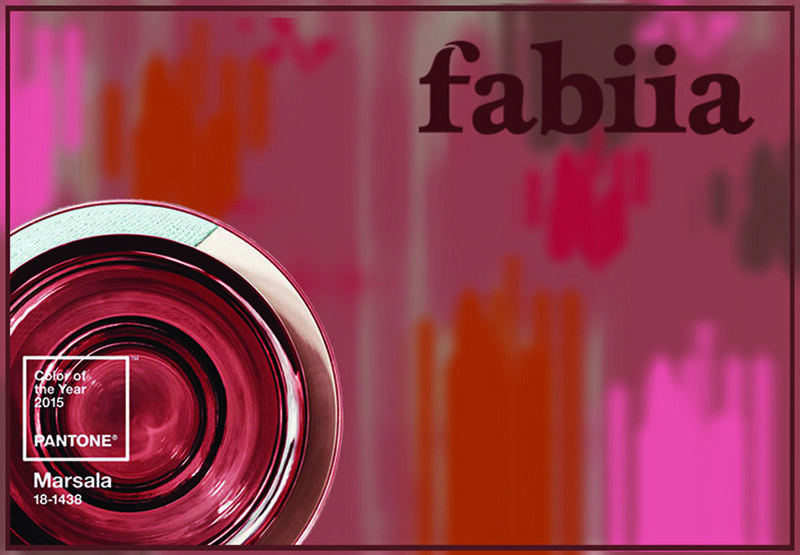 Fabiia’s interior editor has cherry picked the following products that’s closely related to the Marsala colour family. Of course, our big edit follows on through February and March which will see many product launches, so be sure to check back in on us. Rich and friendly, Marsala pairs beautifully with a wide range of colours. 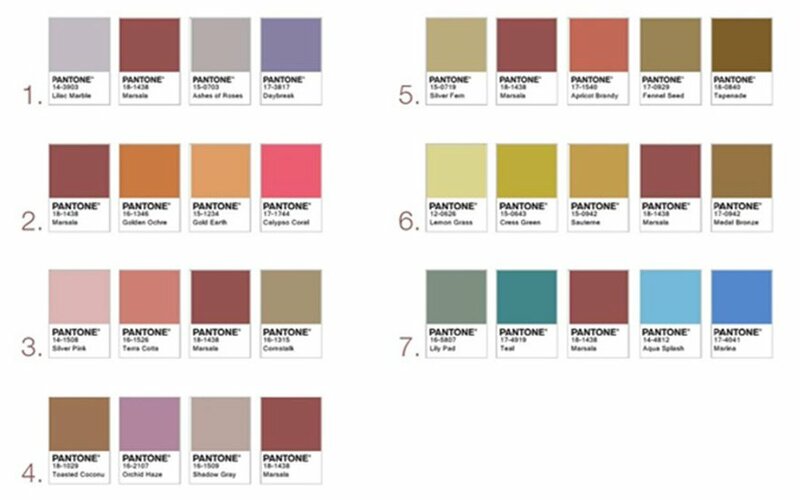 Pantone suggested 7 ways how you can pair Marsala in your interior, clothes, or others. We could easily see why Marsala was chosen as the colour of 2015. Whether cheerful or soft, the colour pulls it off. You could choose 3 for a soft , 5 for a warm, or our personal favourite of 7, for a fresh look. Deep, rich and versatile is Marsala. Embrace this colour in 2015 and see for yourself what it will say about you! 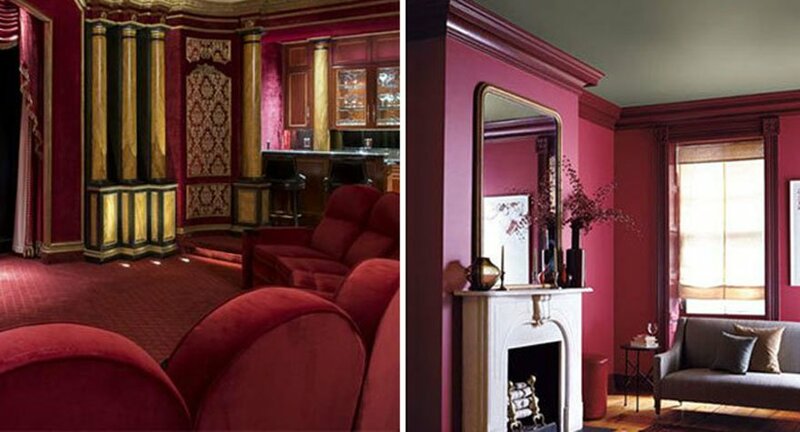 This entry was posted in Fabiia Ideas, Interior Design and tagged interior design, marsala, pantone color. Open Kitchen – Joy of Cooking!